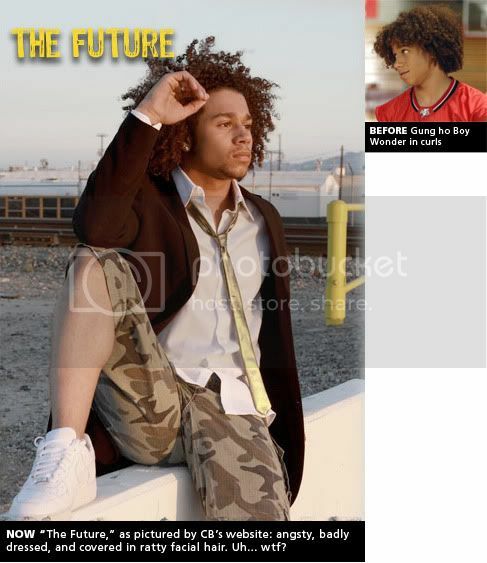 Last but not least, Mr. Corbin Bleu. "I love competition and really going for it and doing my best, but losing isn't really upsetting to me. I feel like if I do lose, the other person really deserved it. "Sara Lee soft & smooth bread appeals to kids." The Boy Wonder is no longer a boy. Or at least, he wants to make sure we all think that because he’s sporting some aggressive facial hair these days. Yet again, we have another case of one hand or the other. Corbin as we’ve always known him will just continue beaming his way good naturedly through life. He’ll make the best of anything he’s given, but he may be susceptible to bad career choices due to his cheerful nature. In his latest blog, he’s all jazzed about Motor Cross and meeting the First Lady— a new talent to add to his resume skill set and another famous person to pose with in a picture for his gallery. Sounds about right. 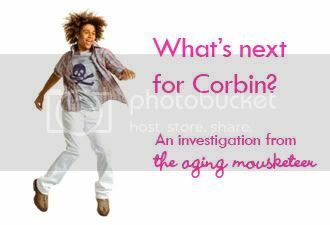 In the end, like the rest of his co-stars, Corbin is a mixed bag. It’s a time of soul searching for him, and we hope he comes up with the right answers. We wouldn’t count him out just yet. He is the Boy Wonder, so we think he probably still has a few tricks up his sleeve. Just so long as these tricks don’t rely heavily on double dutch. If all else fails, all these kids still have Broadway. Other Disney stars have found a second life there. Everybody seems to wind up playing Rizzo or Kinickie in Grease once they want to go legitimate. I believe this is the requisite "Look how Adult and Genre Busting I Am" role.